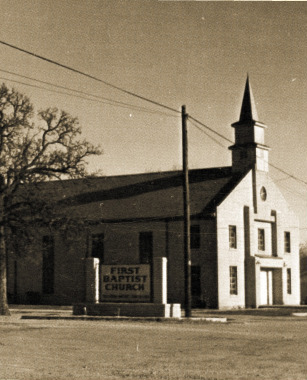 First Baptist Church of Springtown was organized in 1874. There were 24 charter members and the Rev. J.C. Powers was the first pastor. The church moved to its current location at the corner of 5th and Main Streets in 1901. As the congregation grew, there was need for a larger building to accommodate the people. The building constructed in 1901 was torn down and replaced by a cream brick building in 1952. 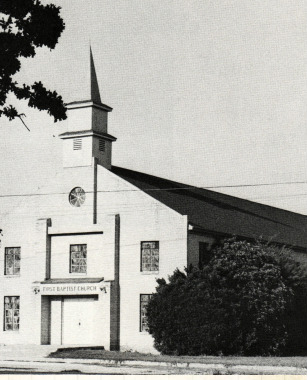 In 1960, with more space being needed, an addition was built, providing Sunday school rooms and Fellowship Hall.1978 saw the construction of a pre-fab concrete building to house a growing Youth department. 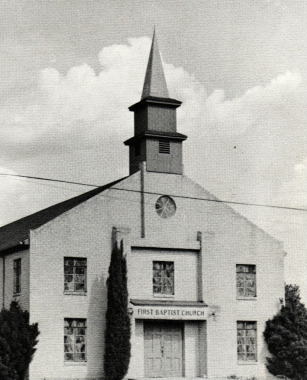 In 1980 ground was broken for the current Sanctuary building, a two story structure designed to seat 590. 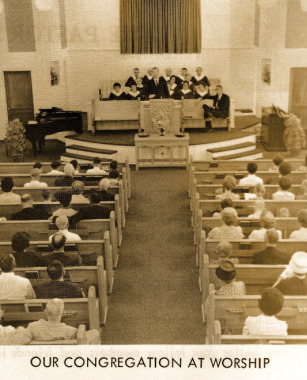 At the same time, the “old” Sanctuary was remodeled to include two floors, with the second floor being made into Sunday school rooms and the bottom floor into a larger Fellowship Hall. In 1993, the church called our current pastor, Dr. Hal Kinkeade. Under his leadership, the church has experienced continued growth and hardly a Sunday passes without new believers professing faith in Jesus Christ and following that confession with believer's baptism. Continued growth of the congregation led to the building of our Family Life Center in 1999/2000. It consists of a gym, exercise room, several adult classrooms on the main floor, and a wonderful Youth Department that comprises the second floor. The original Youth Building was incorporated into the Family Life Center and remodeled into a beautiful Reception Hall seating nearly 200. Then, in 2006, a new Administration Building was added, providing more room for a growing staff. The old church office was converted into spacious bed babies and toddler nurseries to accomodate a burgeoning nursery population. 2007 saw the renovation of the Sanctuary. This project consisted of a complete transformation of the building and allowed us to increase our seating capacity by nearly 100. 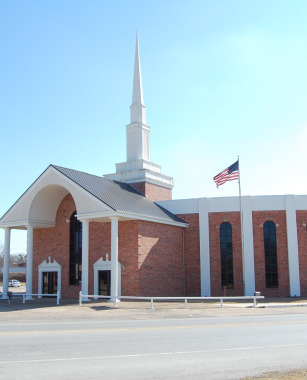 God has magnificently blessed First Baptist Church of Springtown during her first 133 years and we are looking forward to continued service to our Lord Jesus Christ till He returns.